The little bugger wriggled his way underneath my sock as I hurriedly untied my shoe. He’d already sank his circle of fangs into my skin by the time I’d caught him. Pinching his slimy body between my fingers, I tried to pull him off as he stubbornly clung to my flesh. Eventually the leech relented, releasing his grip and leaving yet another red streak of blood across my ankle. I looked ahead to see the rest of my group disappearing into the trees; my partner, Adam, led by Trishna and her brother Arpan, whose home we were staying at, and followed by their friends, Roji and Kasmit. Shoving my blood-caked foot back into my shoe, I hurried along the trail to catch up to them. We continued making our way down the mountainside. It was slow progress- the monsoon rain had left the trail muddy and covered in slimy moss. We gripped rain-soaked tree branches for balance as our feet repeatedly slid our from under us. Our guides, despite wearing only flip-flops, were considerably more sure-footed than Adam and I, and eventually Arpan decided we needed some help. 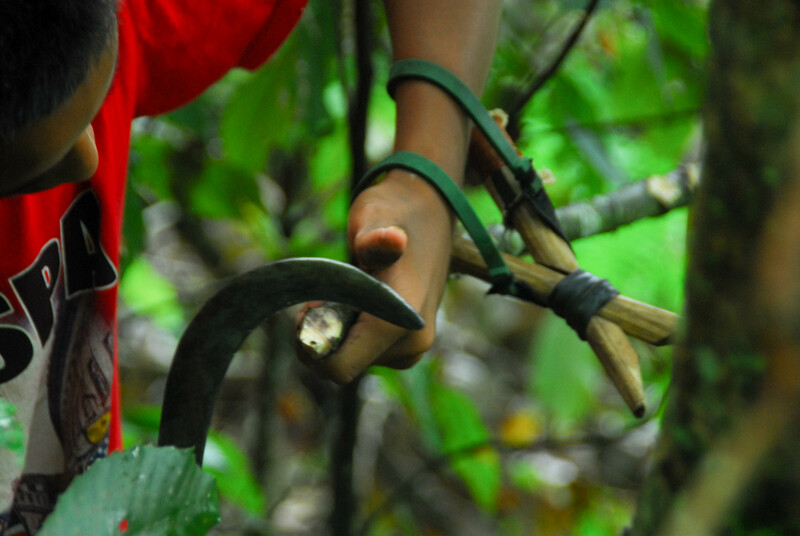 Removing his curved knife from his belt, he hacked at tree branches to make two walking sticks for us. I accepted one at the expense of my pride, but I have to admit, it did help . After an hour of hiking, sliding, and clambering our way down, we reached our destination. Tucked away on a riverbank on the valley floor, in the foothills of the Himalayas; the Bahakot caves. We removed our shoes, made our way carefully across the ice-cold river, and paused at the other side for yet another leech-check. Pulling our shoes back on over our reddened feet, we approached the cave entrance, a concrete doorway with a sign naming it as the “home of the Bahakot bats”. Turning on our torches, we made our way into the gloomy darkness. 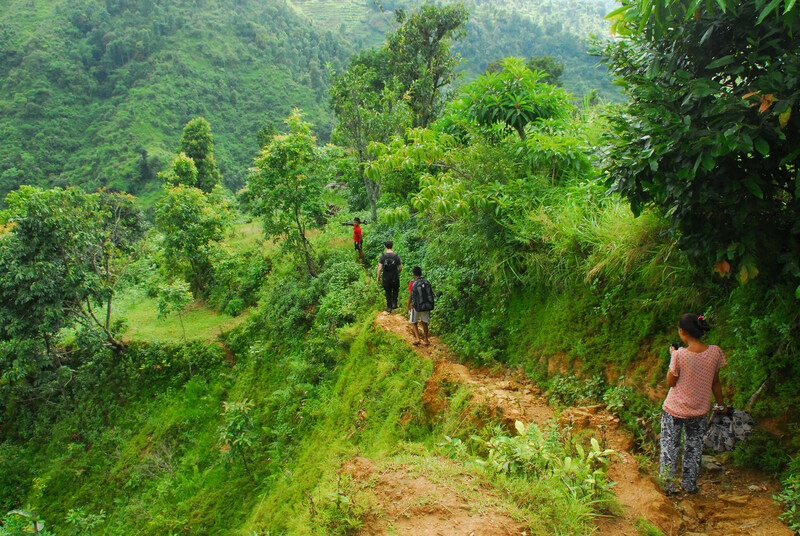 Our 14 year old guides, Arpan and Kasmit, led us along a narrow stone passageway, before the ceiling lowered and we were forced to drop to our hands and knees and clamber through thick mud. 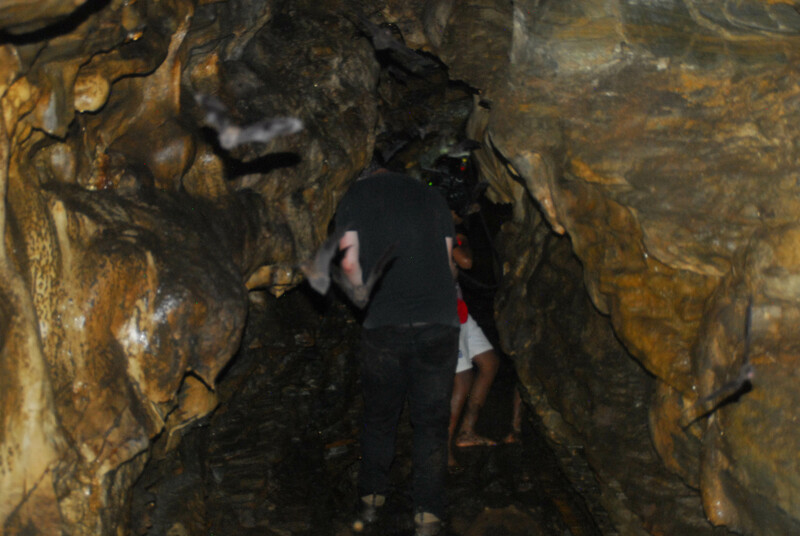 They led us deeper and deeper into the caves, until we had lost all sense of a way out. We were squeezing our way through yet another passage, when we heard the sound of squeaks and flutters. “This way”, Arpan instructed, grinning broadly. We crawled through the darkness until the passage broadened into a large cave. I felt the bats before I saw them. One brushed past my arm, another flew into my leg. “One just hit me in the face!” announced Adam, as we shone our torches into the cave. There they were, hundreds of bats flying frantically in all directions. Squeaking loudly in protest at having their home invaded, they fluttered around, crashing into us. Arpan and Kasmit laughed and tried to catch the bats as they flew past, while Trishna and Roji huddled behind them, laughing nervously. 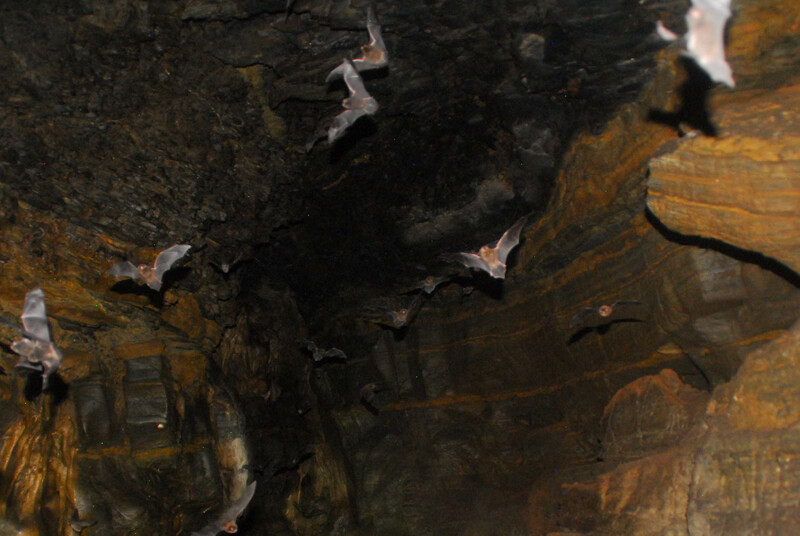 To watch the video of our bat encounter, click here. After every part of our bodies had been pummelled by bats, we made our way back to the fresh air. Caked in mud and bat droppings, we rinsed ourselves in the river, while the boys removed their T-shirts and dove straight in. 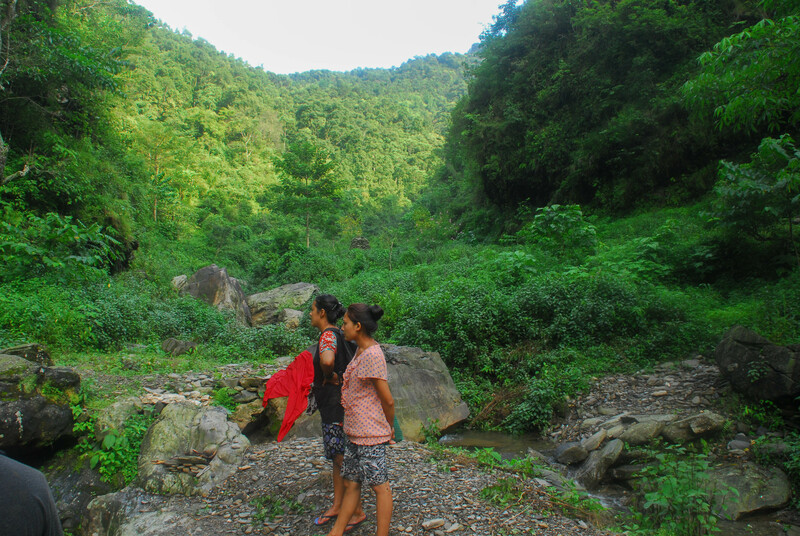 As I dunked my bloodied and muddied feet into the freezing water, Trishna pointed out another cave to me, located halfway up a mountain, its entrance covered by a hanging white sheet. “That’s where the Sadhu lives”, she told me. 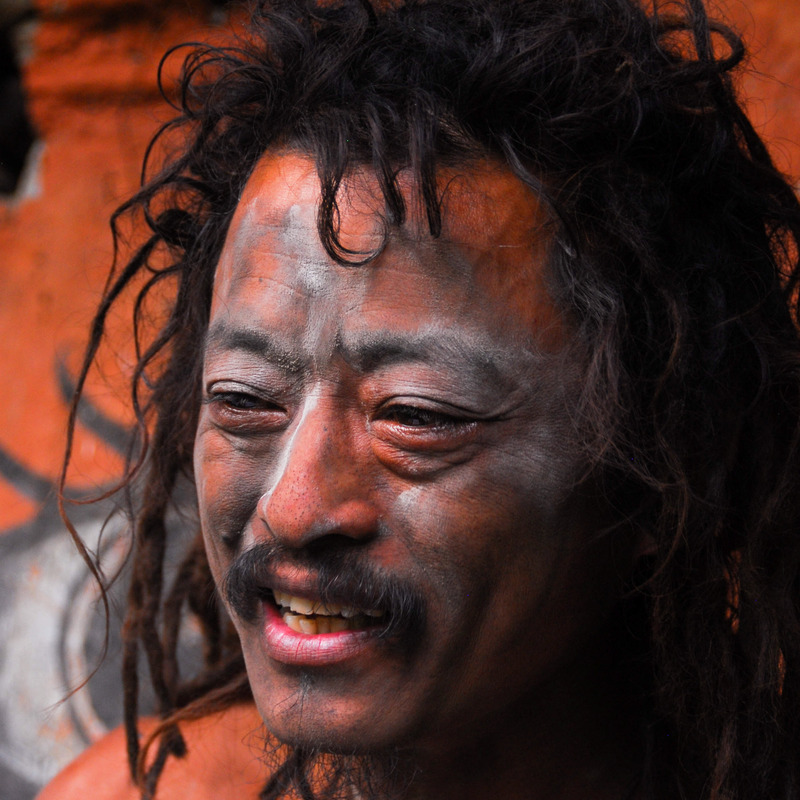 We had heard about an ex-Gurkha who lived in the caves as a holy man, and had been hoping to meet him. Making our way up the stone steps, we reached our second cave of the day, hoping for as memorable an encounter as we’d had in our first. Behind the white sheet, the cave was not what I had expected. The front wall was man-made, and decorated in paintings and stone carvings. Before it lay an array of items, including books, a camouflage jacket, an old teddy bear, and a pile of suspicious looking dried leaves. A pair of knock-off Calvin Klein underwear had been hung up to dry. 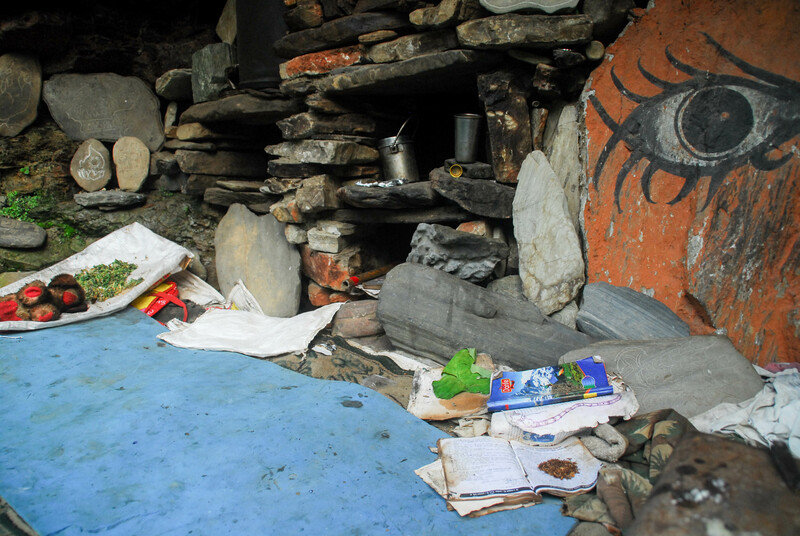 The cave was tucked under an overhang, and empty containers collected rainwater that dripped down from the rocks. Announcing our arrival in Nepali, Trishna bent down to squeeze through the tiny cave entrance. We heard a muffled exchange, and she returned, looking embarrassed, to tell us that the sadhu was happy to talk to us, but was naked at the moment. He emerged from his cave, trouser-clad, shortly after. I don’t know what I was expecting, but he still took me by surprise. Greeting us in English, he joined us on his front porch and started rolling his stash (“tobacco”, he said with a grin). His name was Guatam. He was a lean and muscular man, with tattoos on his torso and dreadlocks that reached his waist. His face and body were covered in grey ash, and he looked far younger than his 43 years. He allowed us to film an interview with him, and, with cameras rolling, he told us about his life. 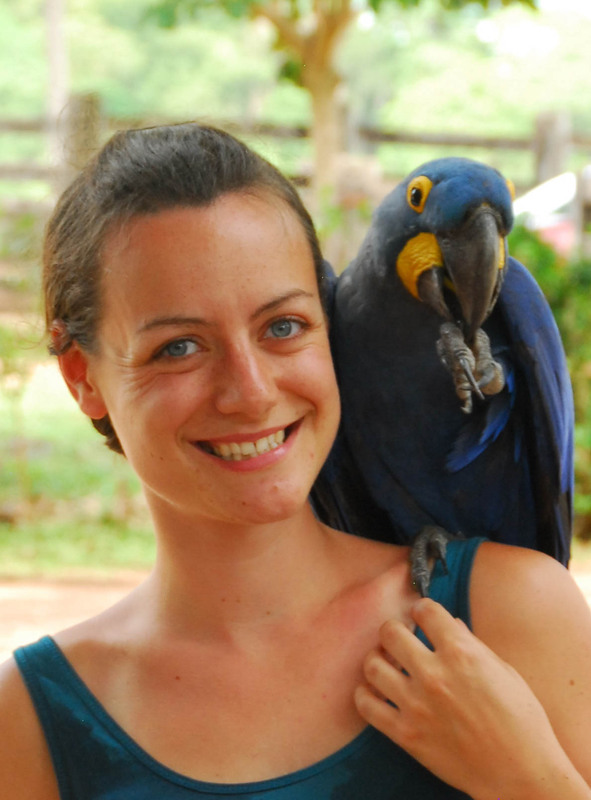 To watch our interview with Guatam, click here. We left Guatam the Sadhu as the sky was darkening, and began the long journey back up the mountain to the village. Clambering over slippery rocks and pulling ourselves upwards by handfuls of long, wet grass, we continued our ascent, the Bahakot caves and their inhabitants disappearing into the forest below us.